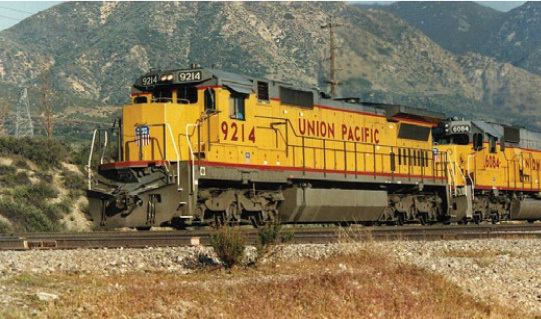 It is not possible to conduct preoperational testing or operate service on the Berryessa Extension without trains and support equipment creating noise and vibrations. Knowing this, during the project approval process, VTA undertook surveys and studies along the alignment to identify potential impacts. 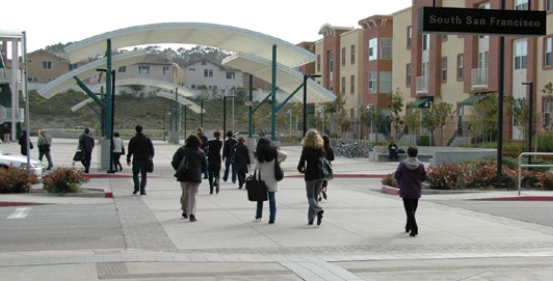 VTA then incorporated into the project design a series of measures to lessen those impacts to the surrounding community. Following are descriptions of measures that were utilized during construction in order to reduce identified noise and vibration impacts caused by the project. Not all techniques were utilized in all locations. 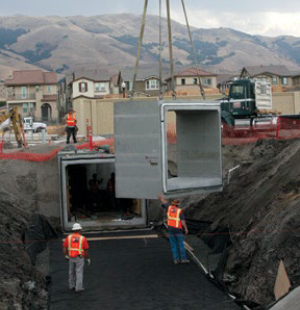 Soundwalls – approximately 12,500 linear feet of new soundwalls were constructed as part of the sound mitigation efforts for the project, including portions of elevated track near Berryessa Road. 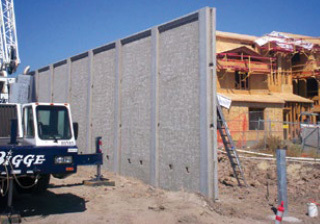 The height of the sound wall varies based on location and need. In addition, already existing soundwalls were either preserved or rebuilt to accommodate utility relocation work or other construction activities. Tire Derived Aggregate (TDA) – With this technique, scrap vehicle tires are shredded and layered underneath tracks to reduce vibration. VTA successfully utilized this technique in the past on the Vasona Corridor Light Rail Project. 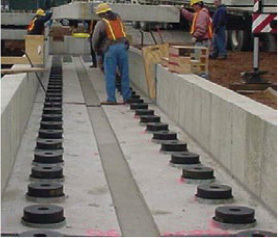 Floating Slab – In certain locations, the tracks are affixed to a concrete pad that sits on top of thick rubber bearing pads, which help absorb vibration generated by the train. VTA installed floating slab at locations where TDA would not provide sufficient vibration mitigation to meet the federal threshold. Systems Equipment – Emergency power generators and other electrical equipment were enclosed in buildings to ensure that there will be no adverse noise effect associated with operations and periodic routine testing. Interior Noise Insulation Treatments – Project noise studies indicated construction of soundwalls would not mitigate noise impacts to the second level of some multi-story homes. Of the 525 homes tested, 252 multi-story homes required additional mitigation to meet the thresholds. These homes received second-story noise mitigation measures that included acoustical windows, solid core doors and weather stripping. noise and vibration levels are below allowable state and federal levels. This project is required to comply with Federal and State noise and vibration levels (thresholds) in accordance with the Transit Noise and Vibration Impact Assessment, Federal Transit Administration, May 2006, and the California Noise Insulation Standards, California Administrative Code, Title 25, Chapter 1, Subchapter 1; Adopted February 22, 1974. More detailed information regarding noise and vibration studies can be obtained by reviewing the project’s published environmental documents at: Environmental Documents Phase I. Federal approval of this project required VTA to reduce vibration impacts from BART trains (and support equipment). VTA was not however, required to offset vibration impacts due to freight trains operating in the same corridor between the BART Warm Springs Station in Fremont and Montague Expressway in Milpitas. Measurements were taken throughout the project corridor to document pre- project noise and vibration levels. 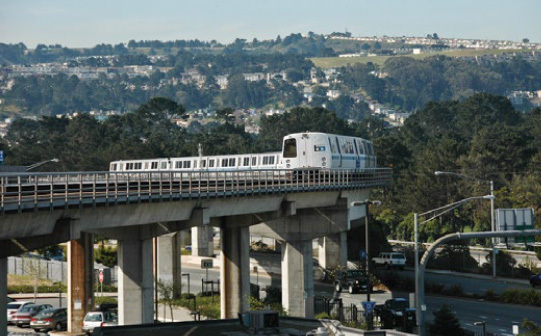 Additional measurements were taken at designated noise/vibration-sensitive areas within 350 feet of the BART tracks or 250 feet from proposed station locations and BART system equipment. This process helped to identify sensitive structures and areas and to establish base levels of pre-project noise already in the corridor. Design information on the type, location, and configuration of the project’s tracks was also utilized. 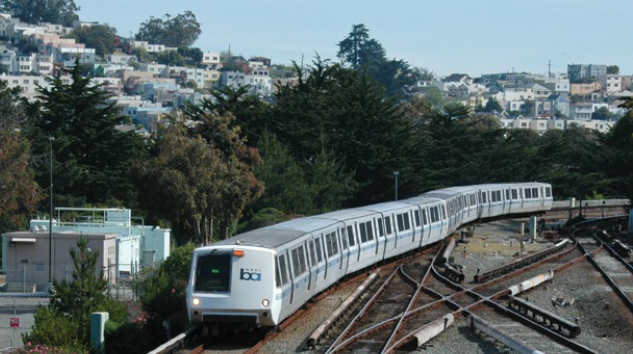 Also documented was existing BART train and systems equipment noise and vibration levels from other locations within BART’s operating area. Finally, the following factors were also evaluated when the project noise and vibration plans were developed: Type of land use (commercial, residential, or industrial); Pre-project background noise, and; whether there were residents sleeping in a property at night. These considerations were combined together and used to project the noise and vibration levels that would be generated by the project’s train service. How Can I Contact VTA if I Have Questions or Concerns? To receive email updates, please go to the Communications tab on our website (vta.org/bart) to sign up for GovDelivery, a subscription service that allows VTA to communicate with you via email. You may also call to speak with a Community Outreach staff person or e-mail the project.